Episode #220 – Success = Ability, Opportunity and Motivation… YOU NEED MOTIVATION! It’s Wednesday — that means it’s midweek motivation time! 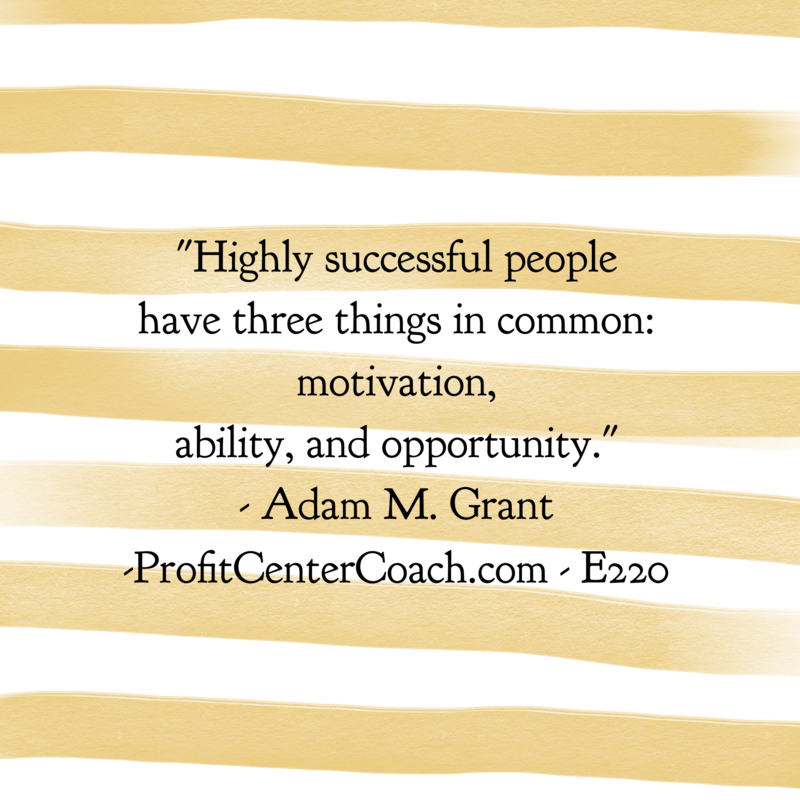 You see, per the quote of the day, to be highly successful (not just successful) but HIGHLY successful you must have ability, opportunity AND motivation! Kick it into high gear… you have started a business, that says to me you’ve got some ability and certainly there was an opportunity that got you to where you are now. I’m also guessing that “way back” at the start of your business, you were pretty excited about all the new challenges ahead. OK, let’s be honest, knowing now what you didn’t know then and the pitfalls along the way it was probably kinda terrifying. All I’m saying is that you had motivation at the highest amounts, now you’re reading my blog (thank you) but you’re reading it for a little extra umph. When you’re looking for that motivation, stop and write a list of the accomplishments you’ve had to date – all the exciting things you’ve done! I’m guessing if you went back to day 23 in business and compared it to today, your business looks quite different. The best motivator to get you going through the “midweek” is to look to the past and celebrate! Now talk to customers. 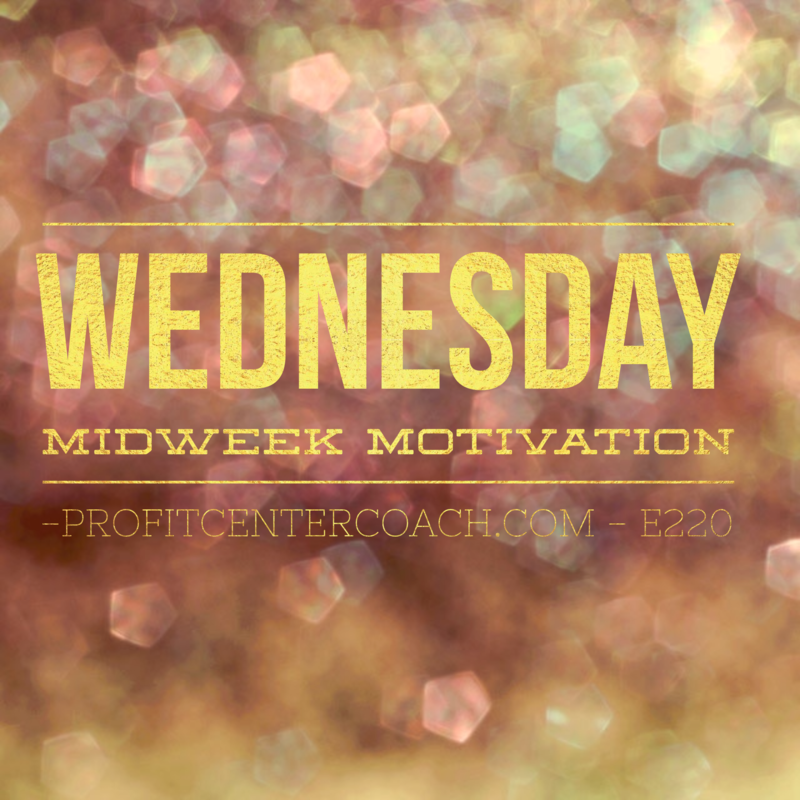 Today, put what ever it is you are trying to accomplish on the back burner and talk to your clients… what’s up with them… what makes them love the things you sell… this will motivate you! Your past success along with the “why” of your customer is what will fire you up! You are in business because you love doing what your customer is buying. Your past success shows that! Now… for more ideas visit my website of 11 ideas to help motivate you! 1- Find your motivation… make a list of past success! Be proud… now do it again! Episode #219 – You Better Trust This Social Marketing Advice That’s Over 227 Years Old or You’ll Regret It!